I’m not particularly an artist, and painting my own french tips was always a struggle until I was hit with a bright idea. 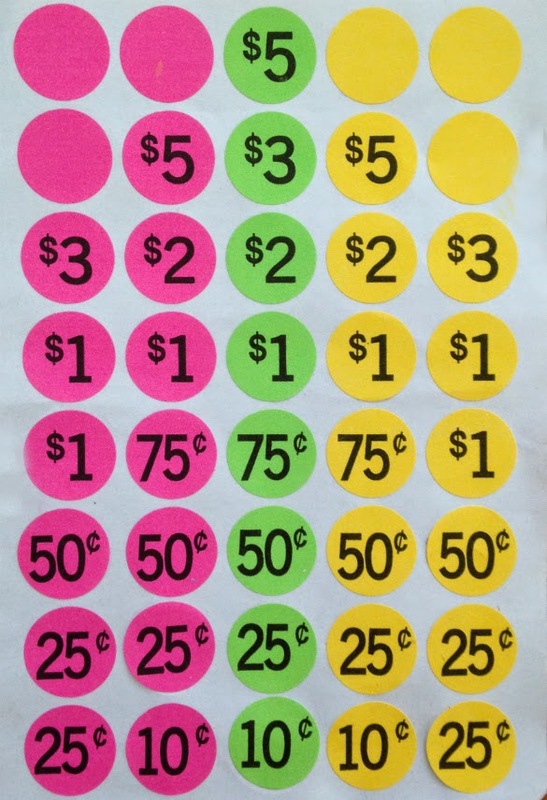 I was shopping at a local dollar store and came upon some garage sale stickers. 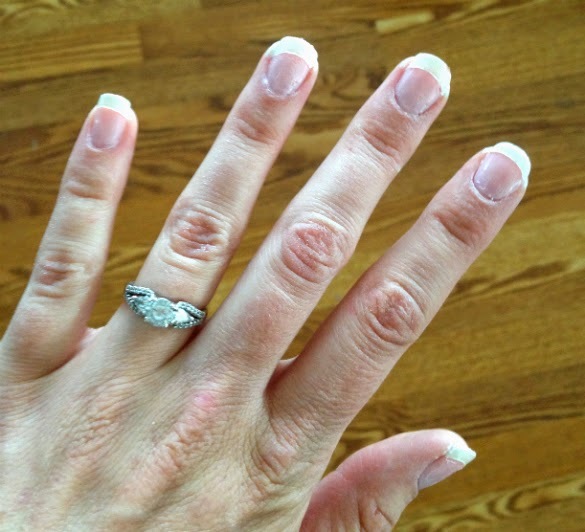 Because they were small and round, they made the perfect stencil for a french tip, plus they were super cheap! 1. 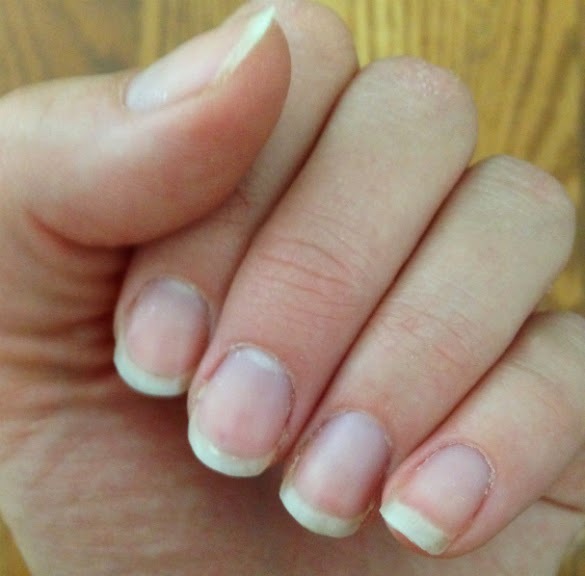 Start out with clean nails that have been trimmed or filed to desired shape. 2. 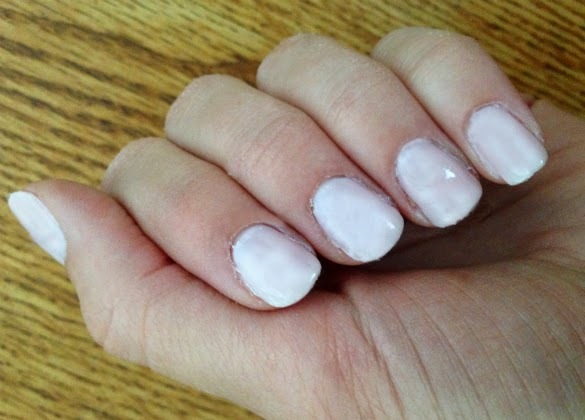 Paint nails using base color. 3. 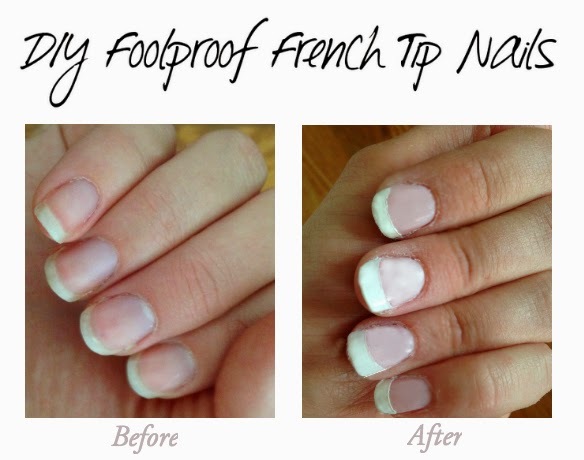 Once the base color is completely dry and not tacky at all, apply stickers for the french tip. 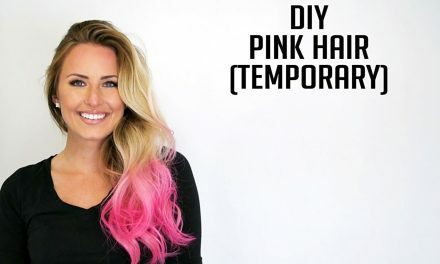 You can make the tips thinner or thicker based on your preferences. Make sure the sticker is all the way down where the other polish will be contacting it. Use the sticker as a guide, but be careful not to paint on it too much or you risk the color of the sticker leaking. 4. 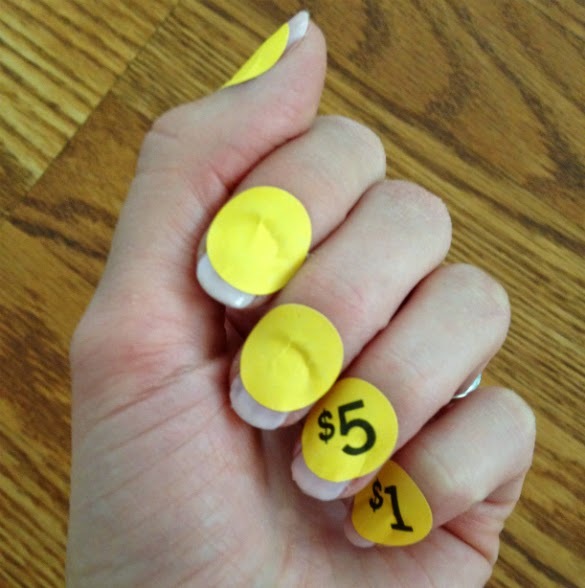 After the tip color has sufficiently dried, gently peel off stickers to reveal your awesome nails. So much easier than free-handing it.